The changes in family dynamics that occur when your loved one enters addiction treatment can be unexpected and painful. By understanding the family as an ecosystem of interdependent relationships, you can better understand the conflicts commonly uncovered by recovery and learn how to better care for your family and yourself. Living with addiction can put family members under unusual stress. Normal routines are constantly being disrupted by unexpected or even frightening kinds of experiences that are part of living with alcohol and drug use. What is being said often doesn’t match up with what family members sense, feel beneath the surface or see right in front of their eyes. The alcohol or drug user, as well as family members, may bend, manipulate, and deny reality in their attempt to maintain a family order that they experience as gradually slipping away. It can be easy, under these circumstances, to imagine that if your loved one just goes to treatment and become sober, those dynamics will shift back to where they are supposed to be. They’ll come home and everything will be okay again. But the reality is more complicated than that. The truth is that families of substance abusers are not passive audience members to the drama of addiction, but actors within a complex ecosystem. Recovery does indeed change dynamics, but in order to make sure that change is a positive one, you must recognize your own part in your loved one’s struggle and learn how to cope with new family dynamics in addiction recovery—because when one person changes, everyone changes. Family members inevitably adapt to the behavior of the person with a substance use disorder. They develop patterns of accommodation and ways of coping with the substance use. Family members try to restore homeostatis and maintain balance. This may be most important once abstinence is achieved. This concept of homeostasis is vitally important to recognize as your loved one begins their recovery journey. We are, after all, creatures of habit, and as much as we may consciously desire change, our subconscious minds can try to bring us back to the place we are used to. For families that are accustomed to organizing around the symptomatology of the addict, his or her recovery may leave a void that must be filled. In some cases, this simply means transferring concern for active addiction to concern for recovery, living in a constant state of alarm over possible relapse, monitoring their meeting attendance, or treating your loved one with residual suspicion. In other cases, another family member steps in to fill the role of the afflicted family member or you may experience your own afflictions. “For example, when the person abusing substances becomes abstinent, someone else may develop complaints and/or ‘symptoms.’” While these reactions may allow you to maintain family dynamics familiar to you and provide temporary if misguided comfort, they ultimately do not help your family or the recovering addict move forward. Addiction has a way of taking over. Other problems and conflicts pale in comparison to those which addiction brings, and you let them fall by the wayside as you use your energy to cope with your loved one’s substance abuse. Once your family member is in recovery, however, active addiction is no longer available to overshadow those areas of distress that have gone ignored, sometimes for years. Interpersonal conflict with other family members, marital or financial issues, or even your own mental health or substance abuse concerns may suddenly be exposed to the light of day. Recovery may also cast into stark relief pre-existing conflicts with the recovering addict themselves, both related to their substance abuse and otherwise. While you may have experienced primarily loving concern and fear during active addiction, treatment gives you the time and distance needed to reveal underlying anger, sadness, and resentment. Or perhaps the nature of the conflict with your loved one has nothing to do with their addiction at all, but it has remained unresolved as substance abuse became the primary focal point. For many, these feelings can be unexpected and alarming, as they do not match up with the relief and restoration of harmony you expect to experience once the addiction is under control. Often one of the most painful things some people discover when their loved one is in recovery is that their substance abuse was in some way pleasurable for you even as you desperately hoped for their sobriety. Maybe they were a fun drinking partner or livened up parties. Maybe you found some aspect of their turbulence exciting. Or it took the attention off your own shortcomings. If you are co-dependent, you may find that your loved one’s recovery leaves you without purpose or someone to rescue and enable. These thoughts can be deeply shameful and difficult to admit, but they are very real parts of many people’s experiences when a loved one goes into recovery. 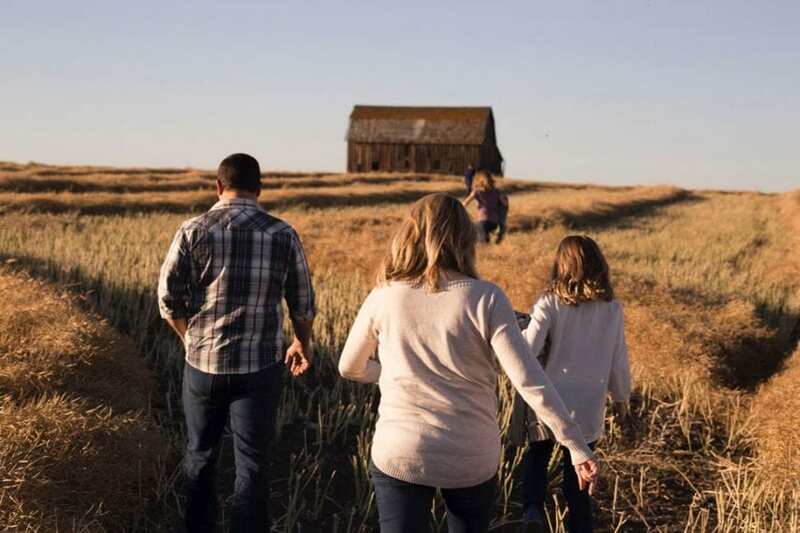 Over the past two decades, there has been increasing acknowledgment of the role of the family in addiction recovery, with studies consistently confirming the benefits of family involvement. The Center for Substance Abuse Treatment TIP series notes that “family involvement in substance abuse treatment is positively associated with increased engagement rates for entry into treatment, decreased dropout rates during treatment, and better long-term outcomes.” As such, some residential treatment programs have begun working with families using an integrated model of care prioritizing family involvement and offering specialized programming designed for families in recovery. These programs can be a vital part of the recovery process for both the addict and for the family as a whole by providing the support each member needs during and after substance abuse treatment. Family programming is a multipronged approach led by experts in family dynamics in addiction recovery focusing on psychoeducation, family and couples counseling, peer support, and individual care. The family and couples counseling gives you a chance to connect with your loved one and explore their recovery, interpersonal conflict, and your own experience of their addiction together. In doing so, you can work together to create a strong foundation of understanding and mutual support while addressing any latent concerns, in addition to learning what to expect from each other as you move through the phases of recovery together. Equally important, however, is working on yourself on an individual level to process your own feelings and thoughts about your loved one’s substance abuse and your own role within your family. This means not only attending the relevant family programming pieces at your loved one’s treatment center, but finding your own therapist and support groups to nurture your growth and change, both for your own sake and for your loved one. Here, you can more intensively explore your own unhealthy emotional and behavioral patterns while looking at the impact of your loved one’s addiction and recovery on your own life. Your loved one’s recovery may be harder than you expect. It may open your eyes to things you do not want to see or understand about yourself and your family. But with the compassionate guidance of professionals specializing in supporting families of recovering addicts, you can use this opportunity to fortify your own well-being and ensure that your involvement in your loved one’s recovery helps you both. Alta Mira offers a comprehensive suite of treatment programs for people struggling with substance abuse, co-occurring mental health disorders, and process addictions. We also provide a dedicated family program to help families move forward together. Contact us to learn more about how you or your loved one can find lasting freedom from addiction.